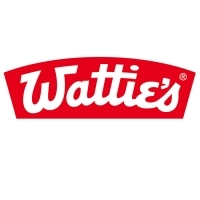 Wattie's makes food products that have been enjoyed by generations of familes across New Zealand. Our family favorites include soups, frozen and packaged fruit and vegetables, baked beans, sauces, spaghetti, burgers, infant and toddler food, cooking sauces, seafood, jams, dressings, and simple, tasty meal solutions. We also make pet foods. We also supply the hospitality industry with quality foodservice products such as sauces, soups, curry bases, packaged fruit and vegetables, baked beans, dressings, jams, and seafood. Our famous quality brands mean "quality" to generations of New Zealand families. They include Wattie's, Heinz, Craig's, Farex, Eta, Oak, Good Taste Company, Greenseas, Earth's Best, Complan, Chef and Champ. In New Zealand, Wattie's has been manufacturing quality food products since 1934. Today our New Zealand business employs around 1,900 people, of which approximately 350 are temporary or casual, producing food for New Zealand and export markets. We have three production centres in New Zealand. Two are in Hastings - Tomoana, where our 1,200 product lines cover jams, dressings, pet food, soups, sauces and burgers, and King Street (site of Wattie's original factory) , where we produce about 140 000 tonnes of fruit, vegetables, baked beans, spaghetti, soups and sauces each year. Our production centre in Christchurch focuses on frozen and dry vegetables. Wattie's continues to be a significant investor and employer in New Zealand. We aim to respond to the changing needs of our customers - in New Zealand homes and in the hospitality trade - and keep delivering reliable, high quality and exciting food solutions. Wattie's is part of the global HJ Heinz group, one of the world's leaders in food. HJ Heinz prides itself on listening to customers all over the world and then delivering the flavour, food service, meals and nutritional solutions they want. Heinz Wattie's website - For further information about Heinz Wattie's.